Whether you have a big or small dog, or whether it has a short or long coat, your pooch needs to be brushed. The importance of this task is more than just removing all that loose hair, it's a routine that is good for your dog's overall health. Let's delve into the topic of grooming your canine companion. Plus, on NolongerWild.com we'll give you the best dog brush roundup to help you choose the perfect tool for the job. 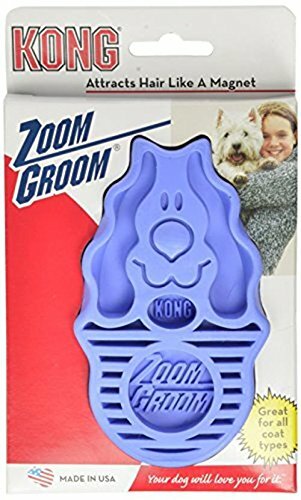 Made by the Kong company (known for their quality and durable dog toys) the ZoomGroom is made with thick, nubby, rubber teeth that snatches up those loose hairs and hangs onto them like a magnet. The ergonomically designed brush is perfect for stimulating the natural oils in your dog's skin (for a healthy coat and skin) and will also work in the bathtub as a shampoo sudser. This USA-made product won't tug on the skin and actually provides a soothing massage for your dog. It's great for those short-coat breeds such as Bulldogs and Great Danes. This dog brush is designed with your canine in mind. It has fine bristles that won't harm your pet's skin, yet is tough on those mats and tangles. The ergonomically designed handle has a rubber coating and a thumb rest to prevent hand fatigue on those longer grooming sessions. In addition, with just a click of a button, the hair falls out of the brush and into the garbage - less mess to clean up afterwards. 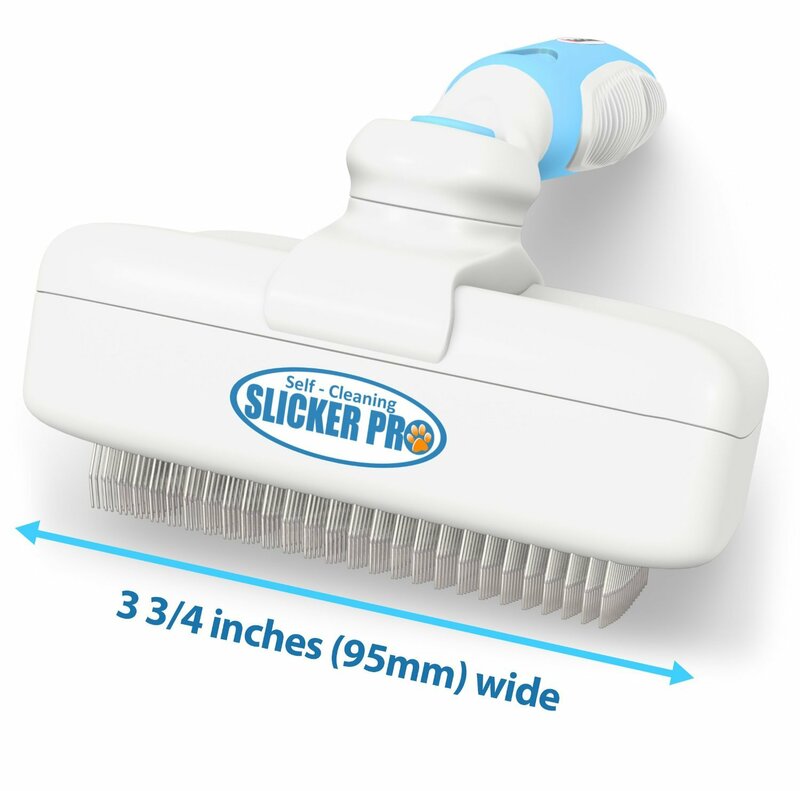 Recommended by veterinarians and dog groomers, the PetPortal Slicker Brush is easy on your dog's skin, but still durable enough to work on even the toughest of coats. 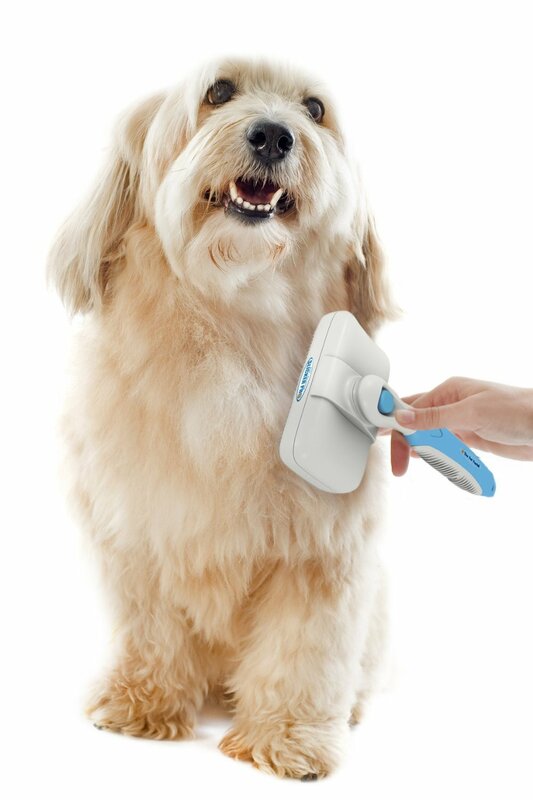 This dog brush works with minimal effort and even has a self-cleaning button - just click it and wipe the hair off. 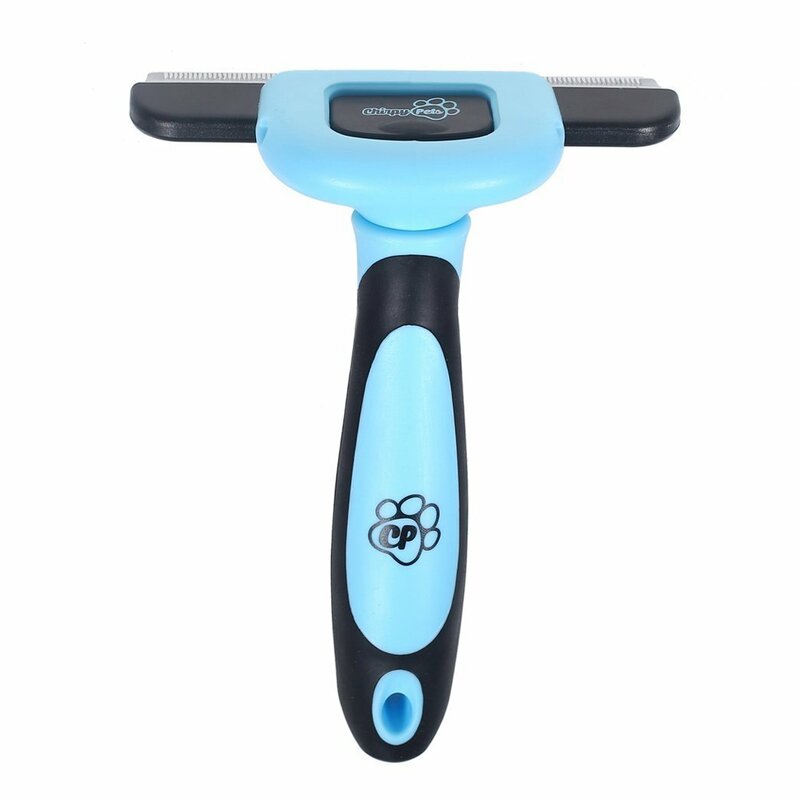 This eco-friendly brush also has an ergonomically and slip-proof handle that will make grooming your pet an enjoyable experience. Do you have a dog that sheds, a lot? 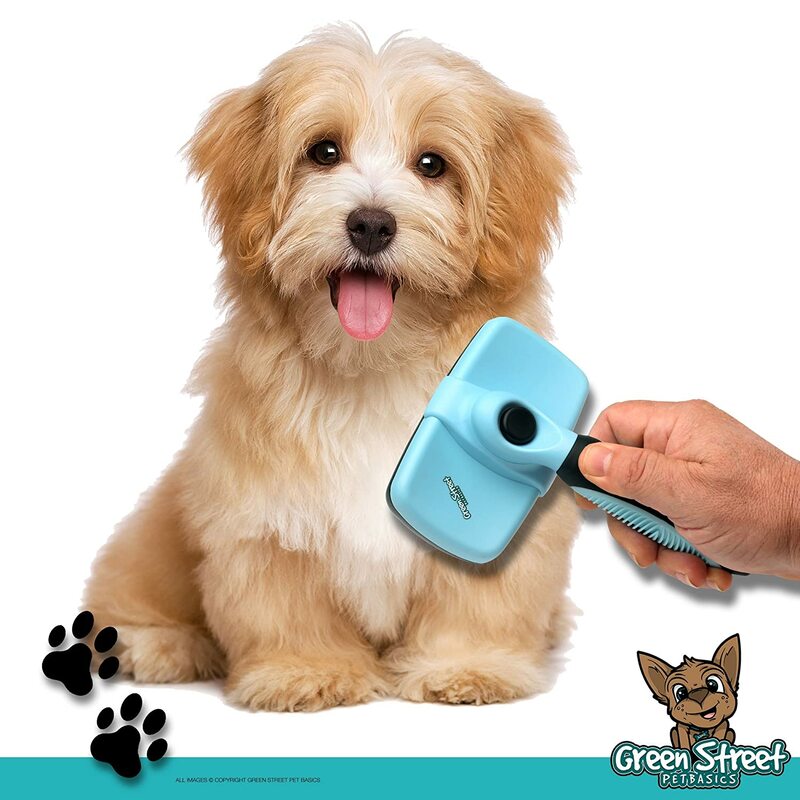 Then the Chirpy Pets deshedding dog brush may be just what you're looking for. This brush is specifically designed for those dogs with thick fur and/or a heavy undercoat. The teeth on the Chirpy Pets brush are rust-proof and will effectively remove all that loose hair, without damaging the topcoat. 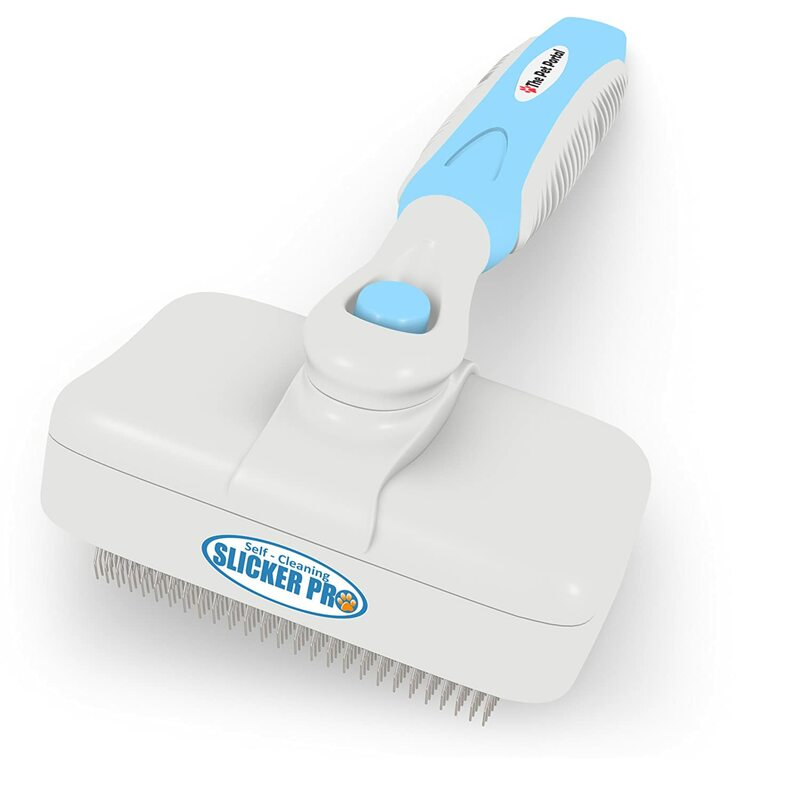 The comb releases with the click of a button to clean the unit with ease. In addition, the handle is slip-proof, ergonomically correct and even has an eyelet hole for easy hanging. This brush has taken our number one spot for the best dog brush due to its undeniable good qualities. 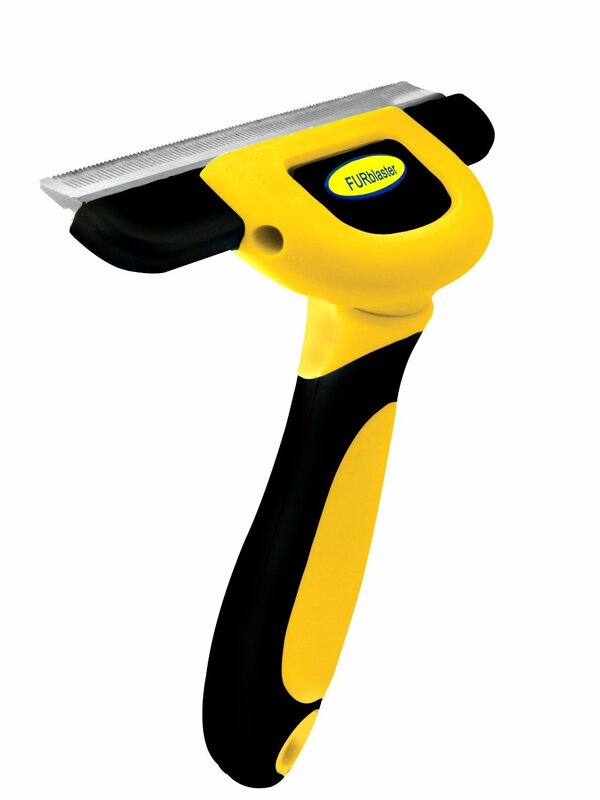 First of all, the DakPets Grooming Tool is not just for dogs, but it can be used on felines, as well. It's also great for any type of coat and will effectively take out those short loose hairs as well as a thick undercoat. This grooming tool will cut the shedding of hair in your home up to 95% with regular usage of only 10-minute brushing sessions. The 4 inch stainless steel comb is durable and strong, yet gentle on your pet's skin. Plus, it comes with its own protective cover so it will stay safe for years-to-come. If all this isn't enough, the DakPets brush also comes with a no-risk, no-questions-asked money back guarantee. Great for dogs and cats and all coat types. You haven't gotten one yet! Helps keep the oil levels down (too much oil can cause the pores to block which can lead to sebaceous cysts). Whether you're a newbie to the "brushing world" with your first puppy or you're a longtime resident, knowing what type of brush you need for your dog's specific coat will make the difference between getting the job done and getting it done right. Here is dog brushing 101 for various dog coats. The dogs that fall under the short coat category are those like the Labrador Retriever, Greyhound and Bulldog etc. For these types of coats you will want to brush your dog every couple of weeks using a rubber brush or grooming glove. These grooming tools are perfect for picking up the loose hairs and distributing your dog's natural skin oils. These types of canines are in the Terrier family and do well with a stripping brush to get down to the undercoat, effectively removing the loose dead hair. Even though the coats on these dogs are relatively easy to maintain, you will still want to brush every couple of weeks to keep it looking fresh. Dogs with long coats can include the Long-haired Chihuahua, a Border Collie and Spaniels. For these breeds, the coat tends to tangle and mat over time, so weekly brushing should be performed. Pin brushes work well for long coats as the bent teeth can get down to the skin. 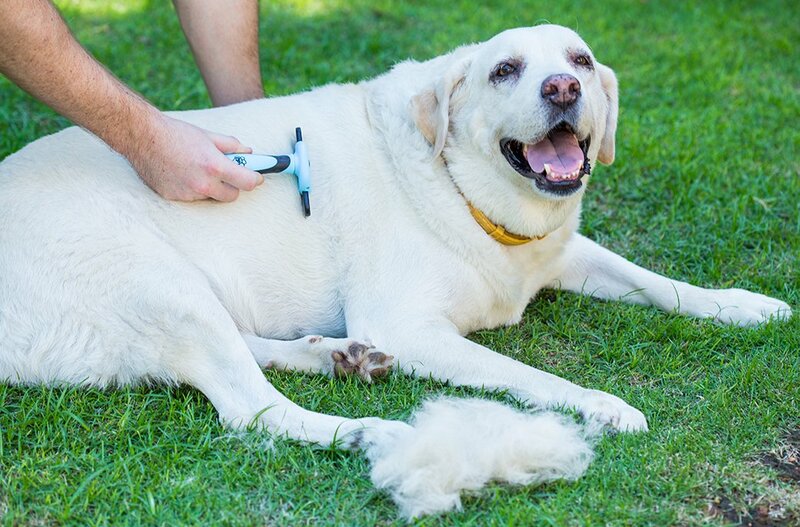 If your dog has a double-coat, such as a Husky, you will have to do weekly brushings with a deshedding tool to get to the bottom of this thick coat. In addition, in the springtime, you will have to go over your double-coated pooch thoroughly to remove all that "winter" hair. This YouTube video shows just how much hair can come from a Husky. 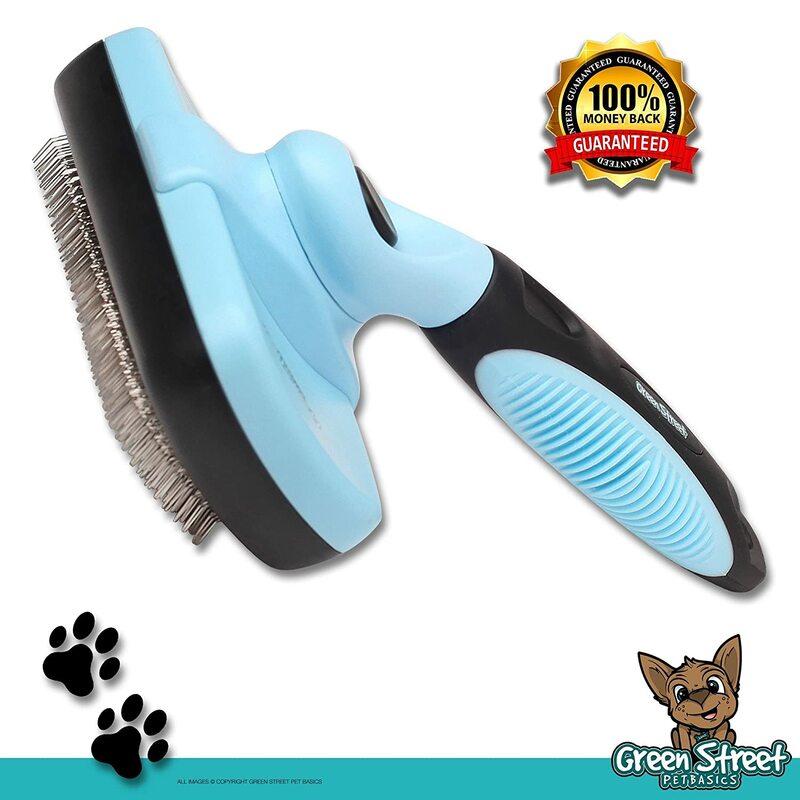 Best Dog Brush - What Else Do I Need to Groom My Dog? Not sure where to begin brushing your dog? Here's some helpful tips according to DogTime. 1. Directional. The direction the dog's coat naturally grows is the direction you will want to brush - dogs don't like being backward-brushed. 2. Gentle Movements. Never yank or pull on your dog's coat. This can cause discomfort to your canine companion and will damage or even break the hair. 3. Pre-treat Those Tough Mats. For dogs that have deep mats or for those close to the skin, it is recommended to use a coat spray or conditioner. Follow the instructions on the detangler then carefully work the mat loose. If it is too thick or tough, you may need to cut it out or shave the dog's coat. When grooming your dog becomes a huge hassle, whether due to an impatient pup or the coat is simply beyond your skills, going to a professional groomer is always the best idea. These people have been trained to work with all types of coats, as well as all types of canine temperaments. Don't let your dog suffer with mats, tangles and dirt, book a professional grooming session ASAP. Grooming is an essential part of pet parenting a dog. Determine which dog brush will work best for you, then set up a regular grooming schedule for your dog. Your furry pal will not only enjoy the bonding time spent with his favorite person (you) but his skin, coat and general well being will be well worth the effort.